I hope you have all have a wonderful weekend. We had a great one here! On Friday my hubby and I went with my brother-in-law and soon to be sister-in-law to see Neal McCoy. We had so much fun. There is a casino about 45 min. from us that he was playing at. None of us had ever been there..I know crazy right? Before the show my hubby put $5.00 in a nickel machine. After playing for almost an hour on it we cashed out at $126.00. Not too bad. I looked at him and told him that's stamping money. He told me that it was new video card for his computer money. Haha..he's so funny. Okay enough about my weekend and on to my card for this weeks restrosketches challenge. This weeks sketch is another great one. I would have never come up with this on my own. I had so much fun putting this together. It was one of those that just flowed..love it when that happens. Here's to you getting stamping money from the casino! Super cute card. That sketch looked intimidating to me, but you really nailed it. Deanna you have ROCKED this challenge with your card!!! I adore the color palette and how crisp and clean everything is! FANTASTIC card! So glad you played along with us at RetroSketches this week! WoW! Your card is awesome! Love how you turned the sketch. Botanical Gardens is one of my favorite stamps sets. Love the gingham ribbon. That sketch is awesome too. I think I will be using it too. Gorgeous Deanna, your style shines through your cards every time. I love it. Great job of turning the sketch! AMAZING! I love the colors and the way you turned the sketch! Just gorgeous my friend! You're so amazing. I am always so proud of you! Love you lots. Well, it flowed beautifully!!!! I love the orientation of your card vs. the sketch. Great card! Love, love, love everything about this Deanna! Just gorgeous. I'm a sucker for green and red all year round and this is a great example of why. The green really makes that red pop! Gorgeous card! Love those flowers! very nice combo of colours and patterns. Deanna this is stunning! You should enter this in the CAS-ual Fridays challenge, opposites on the colour wheel. Deanna, I really love this - it's so gorgeous! 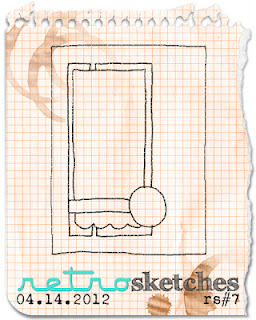 Thank you so much for playing with us at RetroSketches! This is so pretty - love those flowers! Loverly! 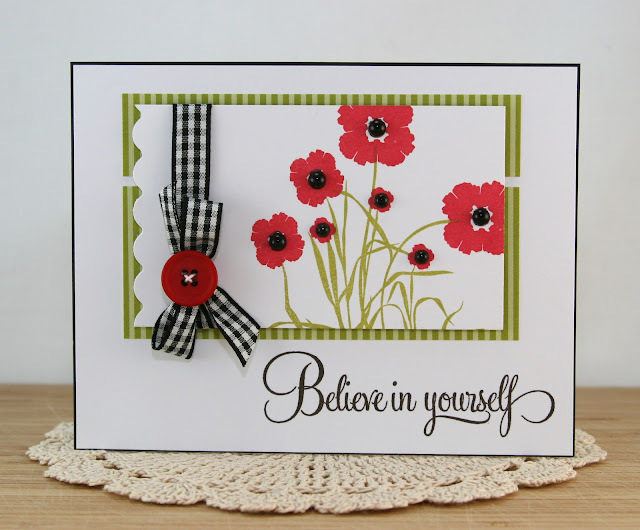 I love those flowers and the sentiment is perfect on your design.